Driverless cars: how close are we? Here at ShieldPay we spend a lot of time thinking about cars. That’s natural for a bunch of people that - amongst other things - give consumers the tools they need to securely buy and sell cars online. Right now there’s a huge amount of speculation about the future of the auto industry. The driverless revolution is coming, and autonomous vehicles are set to play a critical role in the future of transportation. But how close are we to this new world, really? And what are the implications? Much has been written about driverless cars, but the volume of information is overwhelming and it’s scattered all over the Internet. So we’ve brought it all together in one place to help you get a handle on the future of the auto industry. Before speculating on where we’re going, it’s helpful to take a look back of where we’ve been, and how far we’ve come. In the late 19th Century, the first motor cars were initially known by some as ‘horseless carriages’. The phrase "driverless cars" echoes this sentiment - searching for a way to describe something revolutionary and new, we reach for familiar vocabulary and concepts. ‘Autonomous vehicles’ is a more useful, descriptive term, albeit one that has been slower to catch on. We have already seen a huge amount of progress in putting autonomous vehicles onto the road. Fort years now, car manufacturers have been incorporating advanced driver assistance systems (ADAS) into their vehicles. We’ve grown familiar with hands-free parallel parking, lane control, adaptive cruise control and assisted braking - all valuable additions which make the driving experience easier, safer and more pleasurable. The idea of the fully autonomous vehicle first attracted attention at GM’s ‘Futurama’ exhibit at the 1939 World’s Fair, which imagined, “abundant sunshine, fresh air and fine green parkways upon which cars would drive themselves.” Since that time, autonomous vehicular technology has come a long way. It takes year of hard work and innovation to become an overnight success, and in the last 30 years, automakers and researchers have prepared the ground for the huge breakthroughs that now lie before us. Of course, there are degrees of autonomy. It will take decades (nobody is sure exactly how many) for automakers to launch fully autonomous cars - often referred to as ‘feet off, hands off, eyes off, brain off’. There have been several trials of fully fledged driverless cars in live environments all over the world, but to date, none have been fully autonomous, since a driver has been required to be present to take over the controls if necessary. Technological progress and regulatory imperatives are expediting the development and adoption of driverless cars. What seemed like a far-fetched dream only a couple of years ago is becoming a reality, and most car makers now expect to sell autonomous vehicles by 2025. Adoption will likely spread slowly at first, but as costs plummet, it will spread rapidly across the globe. 2009, California, Texas, Washington, Arizona - Google have tested autonomous vehicles over 1.5 million miles since 2009. In December 2016, Google announced Waymo, an independent self-driving technology company. August 2016, London - The GATEway project ran trials of autonomous vehicles around 100km of the Greenwich peninsula. August 2016, Singapore - Self-driving taxi trial by nuTonomy, a US-based start-up founded by two MIT alumni. Electric cars manufactured by Renault and Mitsubishi were fitted with autonomous driving software and hardware, with free rides offered to passengers. September 2016, Pittsburgh - Uber trialled its first self driving cars: Ford Fusions fitted with Uber technology. October 2016, Milton Keynes - Autonomous vehicles were tested in pedestrianised areas of the town centre, fitted with technology built by Oxford University. November 2017, California - Google’s Waymo passes key milestone as it becomes the first to put truly driverless vehicles onto public streets. As you can see from this timeline, 2016 was a pivotal year in the development of driverless cars, with a number of important trials conducted. Furthermore, there was a wave of press attention and corporate activity in the sector. What are the major players saying and doing? Elon Musk, founder of Tesla, has said he believes that autonomous driving will be achieved in the next 5 to 6 years. Sergey Brin of Google intends to have his driverless cars on the road by 2018. Stefan Moser who heads up Product and Technology Communications at Audi has said that the next generation of A8 limousines will be able to drive themselves with full autonomy, and former Uber CEO Travis Kalanick expects the entire Uber fleet to be driverless by 2030. It’s also worth noting that Apple has invested $1 billion in Chinese ride-hailing service Didi Chuxing to develop a self-driving system through which it will partner with car makers or even create its own cars, integrated with other Apple products. Furthermore, Analysis of intellectual property portfolios of Apple and Tesla indicates that these two companies could become effective partners in shaping the future of driverless cars. This is just one example of how car companies and computing companies are coming together to benefit from the opportunities in this space. Honda is in talks with Waymo, the autonomous driving unit of Google, and Daimler has done a deal with Uber. In the future, it will become increasingly hard to distinguish between technology companies and automakers. Expect a wave of consolidation and M&A activity as companies look to leverage synergies. A prelude to this has been the wave of startup acquisitions in recent months, with large corporates looking to get in on the action. Barclays estimates that once autonomous vehicles are established, the number of multi-car families will fall significantly and that car ownership will decline from 1.2 cars per household in England today to 0.7 cars per household. Declines in vehicle ownership will likely be offset by the need to replace cars running at significantly higher mileages, travelling between pickups with no passengers. Established names in the car sharing economy stand to benefit, including the likes of Zipcar and DriveNow. Expect driverless cars to have a hugely beneficial impact on road safety. 94% of accidents are caused by human error. Autonomous cars therefore have potential to massively reduce the amount of injuries and deaths on the roads, with a knock-on effect on insurance premiums. These vehicles are will not only revolutionise road safety and change the landscape of transportation - the knock-on effects will be wide and deep, affecting supply-chains, energy prices, road networks and the urban environment. Of course, there will be bumps along the road. Earlier this year, Uber was forced to suspend and relaunch its self-driving car programme after a high-impact crash and Tesla has been experiencing ongoing problems with its Autopilot. A small number of high-profile accidents risk eroding public confidence and inhibiting the rate of adoption. But innovation continues to accelerate. Researchers at Bloomberg have noted that the world of 2050 is clearer than the one of 2030, when the transition will be in full swing. In less than ten years, they expect over a million driverless cars are expected to be in use worldwide. We are at a tipping point with key obstacles to mass adoption soon to be swept away. The first obstacle is costs. When Google unveiled its AV prototype in 2014 it was derided as too expensive. But it’s predicted that by 2018 spinning laser scanners will be superseded by chips, resulting in significant cost savings. At the same time, the growth in ownership of electric vehicles is reducing the cost of lithium-ion batteries. The second obstacle is technological, and this is being eroded by huge investments from the major technology companies and automobile manufacturers. The major players are now fully invested in bringing autonomous driving technology to market, so it’s only a matter of time - a single generation - before driverless cars hit a road near you. It remains to be seen how governments and cities prepare for this brave new world. Driverless cars will transform the way that people get around and they will reconfigure the urban experience beyond recognition. The early signs are good, with governments in Sweden, Singapore, the UK, the USA and other countries taking a progressive approach to trialling and regulating driverless cars. Clearly, the long-term economic benefits outweigh the short term challenges. Driverless cars are going to transform the way we experience car travel, making it safer and more convenient. Here at ShieldPay we’re doing the same thing for payments, giving you peace of mind when buying and selling cars online. 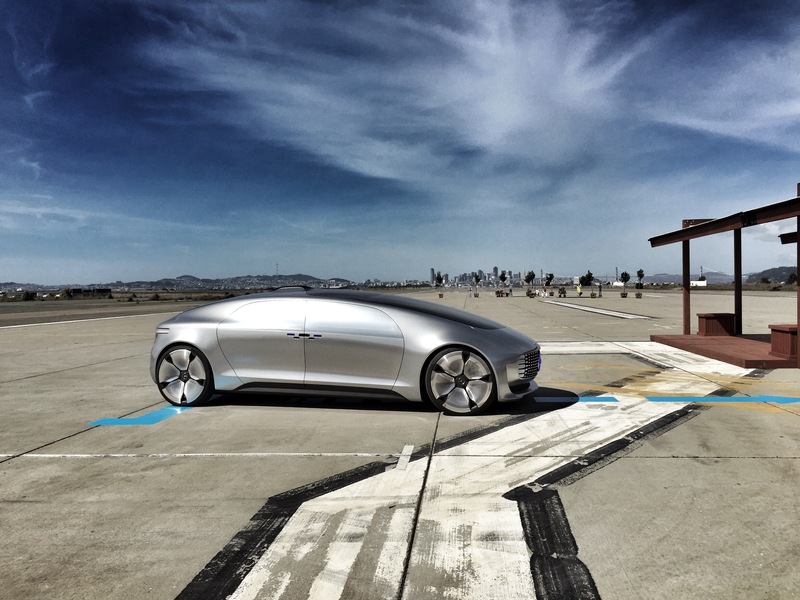 We’d love to hear your thoughts on driverless cars. Are you comfortable with the idea of riding in a driverless car? Would you feel comfortable waving goodbye to your family and friends as they are whisked away by an autonomous vehicle? Leave us a comment or talk to us on Twitter.